Every year since 2001, 20th June is marked as World Refugee Day. The civic groups around the world celebrate the day to highlight the vulnerabilities and challenges of the refugee community. Through various activities and events, attention is drawn towards the millions of refugees living in multiple countries of asylum after being forced to flee their country under fear of persecution and hounding. 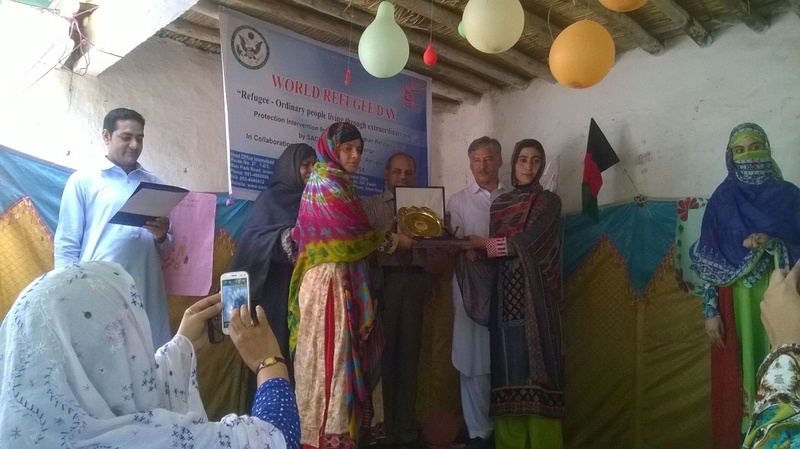 In reference to the World Refugee Day, 2015 SACH-Struggle for Change in collaboration with Bureau of Population, Refugees and Migration, organized a one day activity at Girls Primary School, Mera Kachori Camp, Peshawar. Participation from both the host and refugee communities was ensured in the event. Mr. Arbab Arshad Assistant Director Repatriation - CAR was the Chief guest of the event. 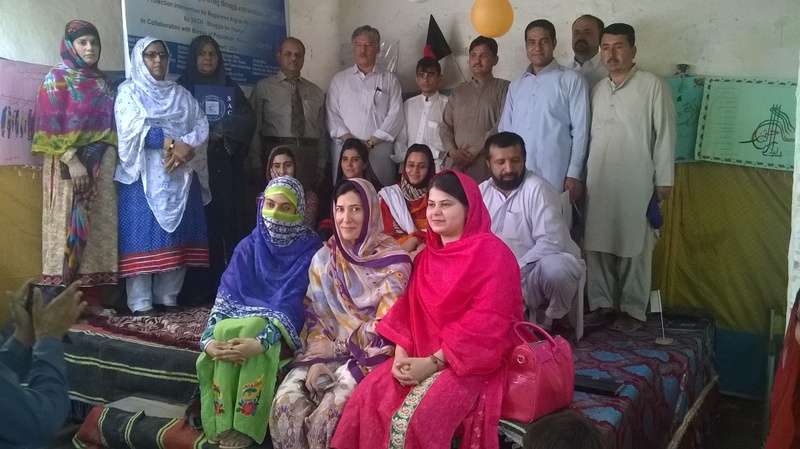 Refugee community elders and school staff members also graced the ceremony. SACH representatives from Peshawar welcome the guest and participants of the event. 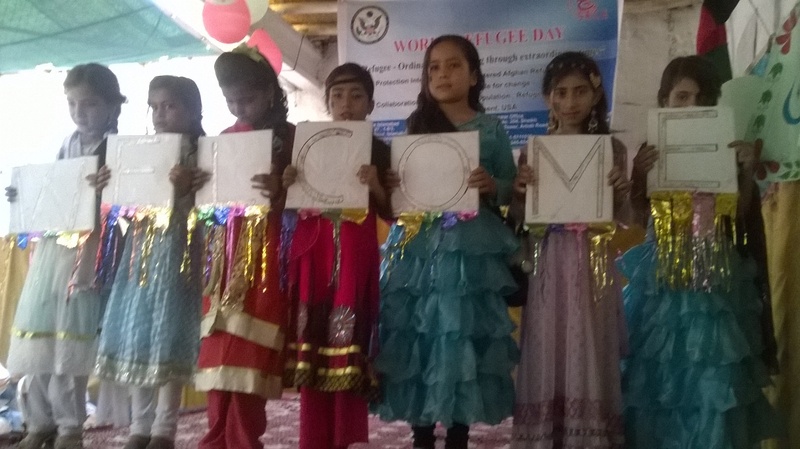 Students from refugee camp based school actively participated in the speech competition in reference to the World Refugee Day's theme 2015 i.e. Refugees being ordinary people living through extraordinary times. Other activities involved theme based skits, songs, display of stalls depicting embroidery work, and other art work including paintings and calligraphy. 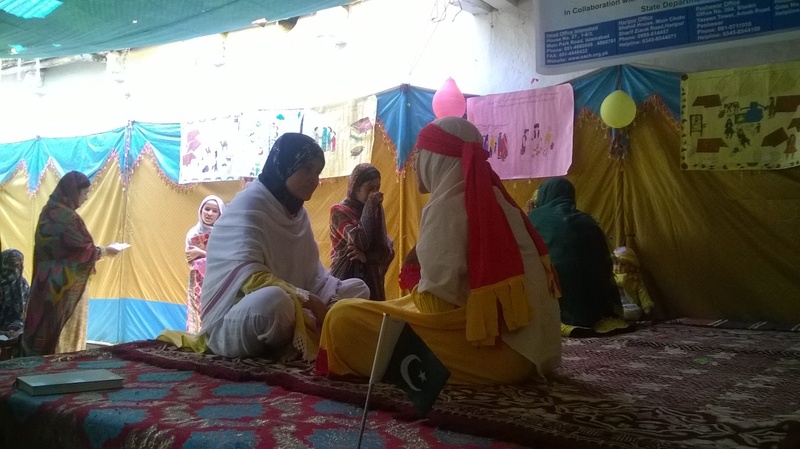 After the performances and round of stalls by the guests, the Principal of the Girls Primary School, Mera Kachori Camp, addressed the guests and participants. Mr. Waqar Maroof distributed prizes among the winners of the speech competition. The event formally concluded with the closing remarks from the chief guest who highlighted the dire need to protect the rights of the refugee community. He appreciated the vital role being played by SACH-Struggle for Change in protecting the rights of marginalized segments of the society including the refugee community.